If you are searching for an exotic vacation why not enjoy the fun, sun and adventure at the Conrad Hotel. This property is one of the premiere getaway sites for holiday and vacation minded travelers interested in the Punta del Este, Uruguay region. You can come to this warmly inviting destination and forget your everyday worries as you enjoy a relaxing, stress free stay at this unique, upscale paradise. This resort is easily accessible from many different locations. The close proximity to Argentina means that guests flying in from Buenos Aires can reach this Luxury Hotel, Casino and Resort in only 35-40 minutes. If guests are traveling from Sao Paulo it only requires a flight of about 2.5 hours to reach the hotel. The property is also only a short 15-20 minute drive from the Punta del Este Airport. Centrally located in the very heart of Punta del Este Uruguay, the Conrad Hotel and Casino is The Only True Las Vegas Style Resort and Casino existing in the area. 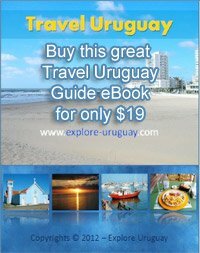 The resort property faces Gorriti Island and it is only a few short steps away from beautiful Uruguay Beaches. This elegantly designed Conrad Hotel Uruguay and casino will enchant you from the moment you arrive. When you visit the Conrad Punta del Este Resort and Casino you will quickly discover that the Conrad Hotel Uruguay embraces you with luxurious surroundings and a host of amenities. You will find that there is also a caring, friendly multilingual hotel staff that is waiting to assist you in whatever way possible. Travelers who are staying at the Conrad Hotel Uruguay will even have access to voice mail as well as in-room bars and refreshment centers. The modern design of the central lobby at the Conrad Hotel Uruguay is stylish and colorful, making it a welcoming place for guests to pause and enjoy the surroundings before being escorted to their well appointed, spacious rooms. The open architectural style of the Conrad Hotel Uruguay manages to create a truly tropical atmosphere that is both freshly invigorating and tranquilly serene. One especially nice feature found in each of the 296 rooms and 30 individual guest suites is the large open terrace. These wide balconies provide visitors with breathtakingly beautiful views of the coastline. It is not unusual for guests to list these panoramic views among their favorite vacation moments. Guests can also visit the Spa for a pampered and totally self indulgent experience. There are a large range of services that are featured which all are designed to soothe and relax the mind, body and spirit. Unwinding at the Conrad Hotel and Casino is easy to do with the help of full body treatments that are offered for both men and women. Guests at the hotel property can choose from a wide variety of body pampering packages including massages, facials, reflexology and other alternative treatments that will help to relax the body and soothe the soul. During the day there is also a fully equipped health club available to all of the Conrad Hotel Patrons in Punta del Este Uruguay. The health club is designed so that you can enjoy amazing ocean views while taking advantage of the state of the art exercise equipment. Guests are also able to sign up for their choice of full body workout classes that are offered daily. Two heated pools; 2 wide, well lit tennis courts; an inviting sauna and a heated outdoor Jacuzzi are also some of the many other fabulous options and features that guests at this Luxury hotel in Uruguay have available for their use and enjoyment. At the Conrad Hotel Uruguay, room service is available 24 hours a day for any guest that prefers the al fresco setting of their own terrace, but there are a number of other options available. At the Conrad Punta del Este Resort and Casino there are a total of 5 world class restaurants offering a dazzling list of unique dishes and special delicacies. From casual dining to 5 star gourmet meals guests of this Uruguay Hotel and Casino are certain to find a variety of delectable dishes and drinks to sample during their stay. Whether you are searching for accommodations for business meetings, special events or personal pleasure holidays, the Conrad Punta del Este Resort and Casino has a variety of meeting facilities to suit your needs. The banquet facilities and meeting rooms are equipped to handle between 10 and 3000 guests. Dinner parties, business conventions, weddings, private celebrations or sales meetings can all be expertly accommodated. Specialists are on staff to make sure your event includes the perfect staging with state of the art lighting and sound systems, suitably coordinated and stylish decorations and full, in-house catering. If you are searching for upscale elegance, luxurious accommodations and outstanding, friendly service and hospitality you will discover all of these at the Conrad Hotel Uruguay. 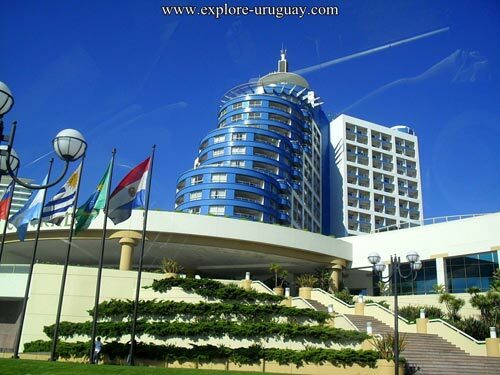 Visitors from all across the world are exploring the wonder and beauty at the Punta del Este Resort & Casino. Why not discover for yourself why the Conrad Hotel Uruguay is rapidly becoming a top vacation destination today?